For the first time, read the entire Soldier Son trilogy as one ebook … at a special price! 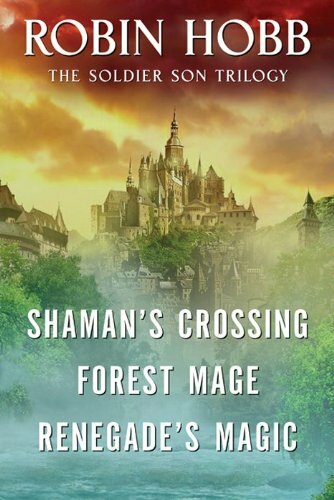 In Book One, Shaman's Crossing, Nevare Burvelle was destined from birth to be a soldier. The second son of a newly anointed nobleman, he must endure the rigors of military training at the elite King's Cavella Academy—and survive the hatred, cruelty, and derision of his aristocratic classmates—before joining the King of Gernia's brutal campaign of territorial expansion. And it continues in the next two novels, Forest Mage and Renegade's Magic.